[Signed by 132 civil society organisations and social networks from 45 different countries] – Click here for a Spanish version of this declaration. The EU is provoking a global expansion in industrial bioenergy use and the rapid development and expansion of a global trade in biofuels and wood-based bioenergy. Of all energy classed as renewable in the EU in 2012, bioenergy and ‘waste’ accounted for around two-thirds. By including bioenergy in renewable energy targets, the EU is promoting direct and indirect subsidies for it, claiming that it is a sustainable alternative to fossil fuels. But according to the International Energy Agency, renewable energy is “energy derived from natural processes (e.g. sunlight and wind) that are replenished at a faster rate than they are consumed”. 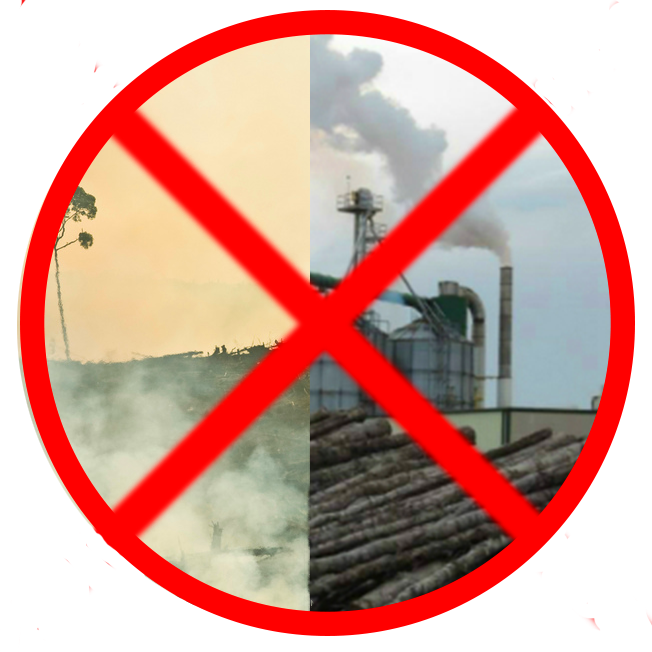 Bioenergy does not meet this definition as there is no guarantee that all biomass that is burned is replenished, and it is never replenished “at a faster rate” than it is consumed. Moreover, large-scale bioenergy is far from sustainable, as it relies on a major expansion of industrial agriculture, of monoculture tree plantations, and of industrial logging. These industrial activities deplete and pollute soils and water, destroy forests, grasslands and wetlands, and destroy the livelihoods of workers, farmers, Indigenous Peoples and other communities, particularly in the global South. The EU claims to have a very ambitious climate policy and emission reduction targets. But this claim is built on the false premise that large-scale bioenergy is inherently carbon neutral, or at least “low carbon”. A growing body of evidence, however, shows that, especially when bioenergy is produced and used on a large scale, it tends to increase rather than decrease carbon emissions when compared to fossil fuels. Many in the EU claim that the adverse environmental and climatic impacts of large-scale bioenergy can be avoided through the application of sustainability standards. However, standards applied to individual batches of ‘raw material’ cannot address an issue that is inherently one of scale: the very scale of industrial bioenergy is a problem in itself. Standards and certification schemes are applied only to specific loads of biomass or biofuel, and have no impact on overall scale and expansion. On the contrary, they may add to the problem by legitimising large-scale bioenergy use in the eyes of the public. Furthermore, as the Volkswagen scandal has shown, standards and even regulations are ineffective without strict independent enforcement, yet existing biofuel standards and proposed ones for biomass rely entirely on self-regulation by companies and their chosen consultants. In the EU, bioenergy tends to compete with less carbon- and land-intensive renewable energy sources such as wind and solar power, rather than with fossil fuels, because it fits into the current infrastructure for the latter, so hindering real change. 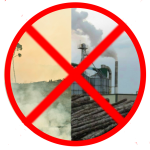 Bioenergy can provide a sustainable energy option, but only when produced on a small-scale basis for local energy needs, and only if (for example) the health impacts of indoor smoke, especially on women, are taken into account. Small-scale local bioenergy schemes could still attract support, for example under Rural Development programmes. In fact, community-based bioenergy schemes often benefit from this type of support already, rather than from the subsidies that stem from the Renewable Energy Directive, which disproportionately boost large-scale industrial schemes. The EU cannot be allowed to continue the current model of energy consumption, promoted through false assumptions about bioenergy being renewable, when its application at an industrial scale clearly is not. Claims of emission reductions are often false, and come at the expense of land, livelihoods, workers rights, forests, soil and water. The EU already bears great responsibility for the climate and biodiversity crises currently facing the planet. Claiming more land for bioenergy production, under the false premise that this is a contribution to climate protection, can only increase the already unacceptably high land footprint of the EU. We call on the EU to end the current overconsumption of energy, and its huge impact on peoples and ecosystems globally, and to move towards a major reduction in energy consumption with all the changes in current development models that will imply. A positive step and a good signal for the rest of the world would be to fully recognise the devastating direct and indirect impacts of large-scale bioenergy on people, territories, forests, and the climate, and to exclude bioenergy from definitions of renewable energy and from the next EU RED. Click here for the declaration with a list of signatories.